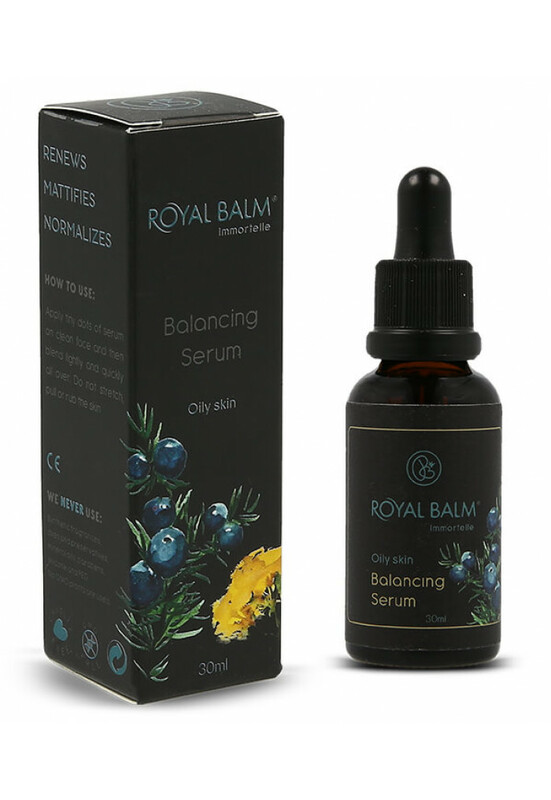 Effects Royal Balm natural serum for oily and combination skin has a strong antibacterial, antioxidant and anti-inflammatory effect. 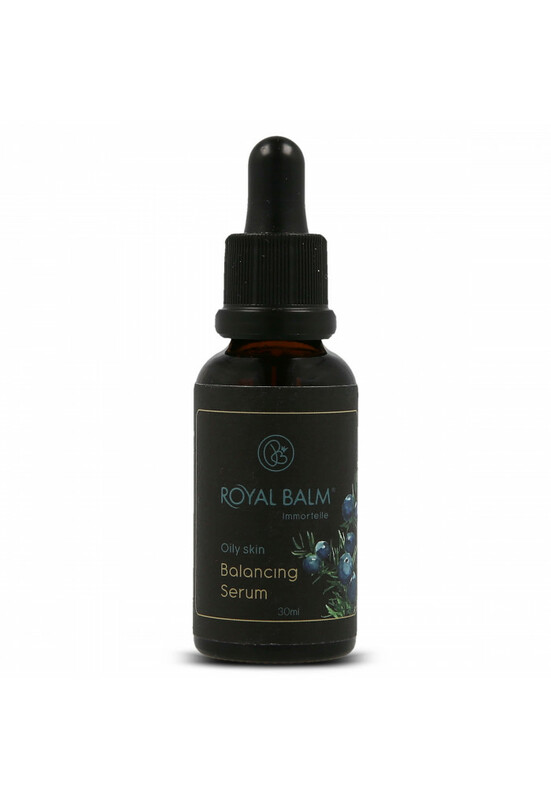 It helps the skin return its natural balance and regulates sebum production without making the skin dry. Juniper disinfects the skin and gives it a natural and youthful glow. Fennel has a powerful detoxifying effect. Touch the images to find out more. Walnut oil* is known for its antibacterial, antioxidant and anti-inflammatory effects. It helps the skin return its natural balance, regulates sebum production and does not dry out the skin. Antibacterial components of walnut oil help in the protection against pathogens that the skin is constantly exposed to. The anti-inflammatory properties of this oil help in soothing the skin which is prone to acne. 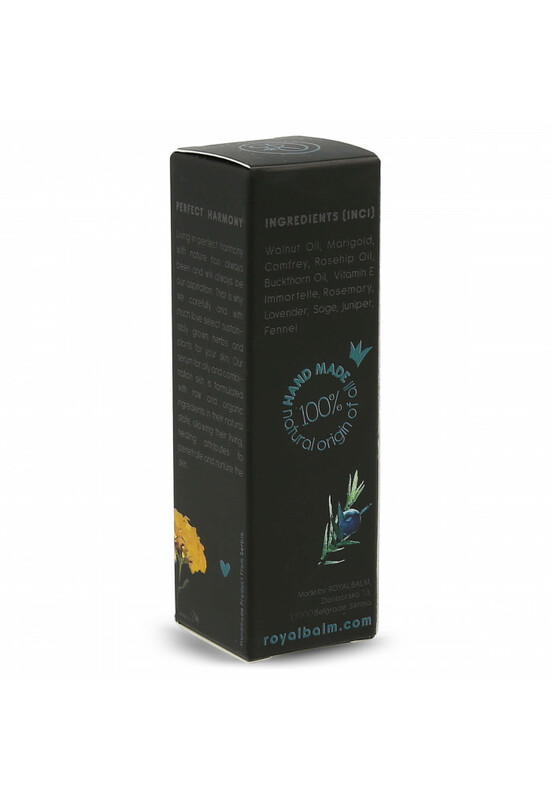 Fennel is a natural antioxidant that helps the skin to restore its vitality. Juniper* disinfects the skin and gives it a natural and youthful glow. Sea buckthorn oil* has bactericidal and anti-inflammatory effects. It is a very rich source of vitamin E which prevents the oxidation of the sebum that leads to the appearance of blackheads. Oily and combination skin types have some common characteristics which is why we often confuse them. It is about the so-called T zone, which is extremely oily and visible in both skin types. The T zone is the area covering the chin, nose and forehead. In this area, the skin is extremely oily with visible pores. The reason for this is excessive production of sebum in the skin which leads to the secretion of excess oil. 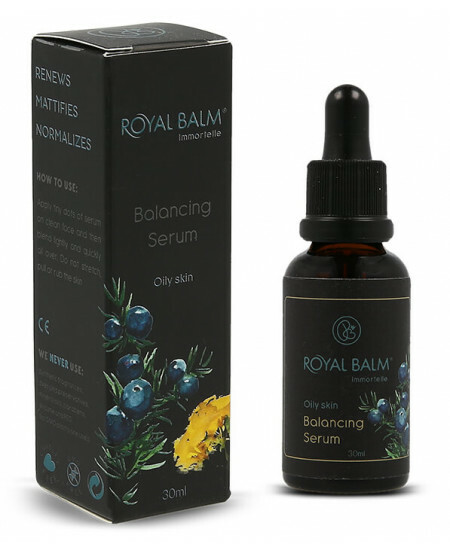 Natural face serum for oily and combination skin is therefore suitable for both skin types as its natural ingredients cause decreased sebum production. As a result, the skin is less oily, dark spots and acne appear less frequently and the skin also gets a matte look. Walnut oil* is known for its antibacterial, antioxidant and anti-inflammatory effects. 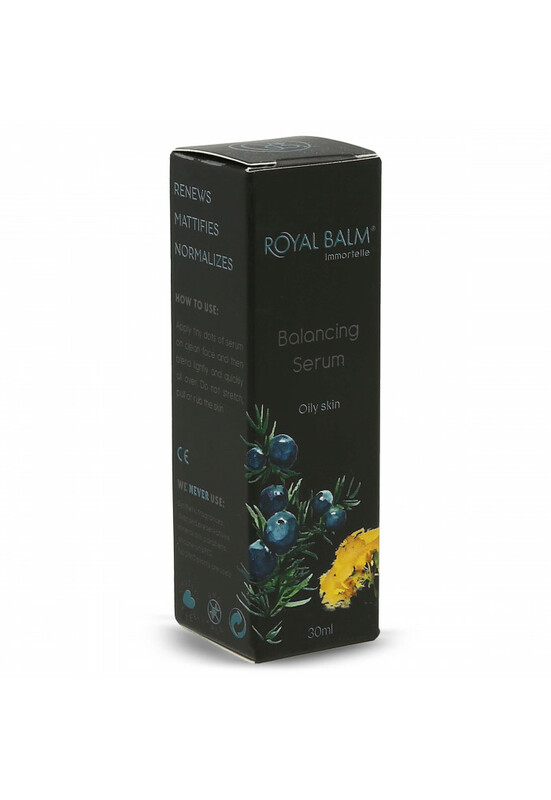 It helps the skin regain its natural balance, regulates sebum production and does not dry out the skin. Antibacterial components of walnut oil help in the protection against pathogens that the skin is constantly exposed to. The anti-inflammatory properties of this oil help in soothing the acne-prone skin. Fennel* is extremely beneficial for this type of skin because it has a strong detoxifying effect. Apply tiny dots of serum on clean face and then blend lightly and quickly all over. Do not stretch, pull or rub the skin. Our natural products for skin care do not contain harmful chemical compounds, such as Vaseline, paraffin and mineral oils, which are absolutely incompatible with lipids of the skin. Our creams are simple, without complicated word in their list of contents, just as nature has created them.